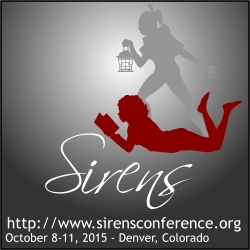 I have been burned by those Publishers Weekly e-mail blasts before. A perfect first chapter that degenerated into an implausible book, an ad for something that sounded right up my alley (but the ad lied), for stuff that has the marketing dollars but isn't more than a copycat. 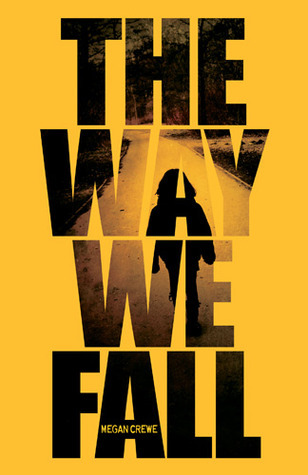 I got, and maybe you got, the ad for Megan Crewe's The Way We Fall (Hyperion), and lo and behold, there it was, next to my bed, in the reading pile. I've read blog posts and things by Megan Crewe, and I recognized her name, and I've been meaning to read something of hers for a while, so it was very easy to pick the book up--and very hard to put it down. If you're tired of not knowing how the apocalypse happened, if you're tired of fast-forwarding to the point where the government is only a whacked-out dystopia, if you love stuff like The Hot Zone and The Stand, if you enjoy Robin Cook, well: I think you'll like this. Kaelyn's friend's dad is first. He's acting weird, and then he's dead. And then everyone on the island off Canada is stuck, the ferries stopped, the soldiers gone. The rate of survival is abysmally low. But this isn't just action/adventure; Kaelyn's relationships with her former best friend and his girlfriend, her family (including the cousin she must care for), and the people she used to know before this all happened are complicated and rich. This is exactly what teen speculative fiction should look like: a mix of realistic relationships and sciences/futures/what-ifs. 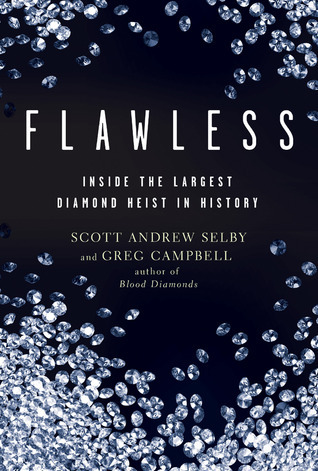 Flawless: Inside the Largest Diamond Heist in History by Scott Andrew Selby and Greg Campbell covers the 2003 diamond (and other pretty things) heist in Antwerp that is still one of the largest thefts ever. This book gives readers a close-up look at how the perpetrators plotted and carried out the job, from how they obtained blueprints to how they, in the end, screwed up and only sort of got caught. I really got into the parts that chronicled how the thieves bypassed the vault's security, and enjoyed the analysis of how the building housing a number of gem and jewelry dealers didn't live up to its secure potential. The inside peek at the diamond industry, too, was informative. The writing is a bit repetitive--it's necessary to repeat some details for the reader to recall an important detail, but I thought that sentences and paragraphs came back pretty much wholesale. Still, if you're interested in an exciting read that goes well beyond petty crime, I recommend this. Please, Sir, Can I Have No More? In 2012, what do you want to stop seeing? Strange things happening--strange things that the protagonist is not overly concerned about, but that would freak out a real person. No driving reason for the book revealed by a (generous) page forty. Science that isn't based on or spinning off of any actual science. Specific writing tics, especially involving the construction "Doing this, I did this other thing at the same time (even though it is physically impossible)." Series with brave, bold, ambitious plots in book 1, but the rest of the series acts to reverse all of the bad things, rather than asking the protagonist to grow or change or understand. Teenagers utterly SO WHINY BORED with their comfortable lives. The Game, or Invitation to the Game by Monica Hughes (Simon and Schuster - Simon Pulse, re-edition) is a dystopia that was originally published in the 80s, and it revolves around a group of about ten kids who graduate from school and go out into the world. Except, in this future, your schooling is about the only thing determines your job, and despite good performance, these kids have been designated as Unemployed, a timely (for today) connection to the recession, and boy, do all the employed workers haaaaate them. The group ends up in an old warehouse, scavenging a little food and belongings where they can. Eventually, they are invited to the mysterious Game, where they enter a virtual reality and get to stay in that world until they endanger themselves. And then they lose. And lose again. But what’s the point of winning? Could it be that the Game isn't just virtual, and that their survival depends on surviving the game--and working together? I loved the idea, but the dialogue is so stilted and old-fashioned I mostly had to read around it, and the ultimate ending was far too neat for my tastes. It's worth a look if you're very interested in dystopia or looking at SF over the years--or, if you're me, still searching for a SF book from when you were a kid that had something to do with a Game that a girl could understand and a boy couldn't, and then they both escaped from...something, and the girl was really shocked when she bought food and found out it was rabbit.